Pearl Jewelry has never been at the level that is now. 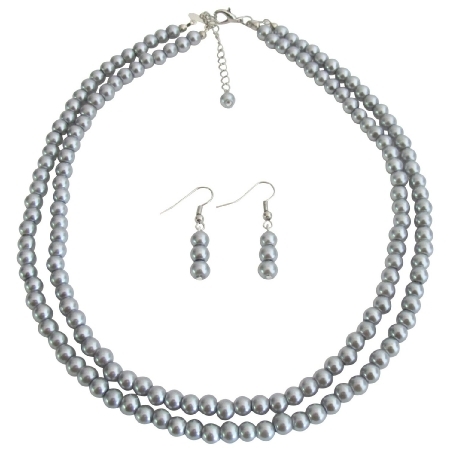 This necklace set is made with beautiful 6mm Lite Gray pearls double stranded necklace with dangling 3 pearls earrings nickel free & at the back of necklace extender has cute 1 pearl dangling absolutely gorgeous & rich complimentary colors!. Customize Pearl Jewelry for BridesmaidBridal Flower Girl Maid of Honor Matron Of Honor Prom Wedding Gift Pearl Jewelry.